What is it? A Fund to support a particular need or issue that has been identified in the community. This can be a group that is an established nonprofit or one that is in the early stages of formation. 1. An established organization. A Nonprofit that already has their 501(c)3 may be able to significantly reduce their overhead costs while adhering to best practices by partnering with CTCF through a DDF. Economies of scale are achieved in areas such as processing donations and invoices, filing IRS paperwork and acknowledgment letters to donors. Limited resources are strategically deployed while maintaining best practices in security. 2. A new organization. If a group of individuals has identified a need in the community, they may want to consider a DDF with CTCF rather than establishing their own 501(c)3. 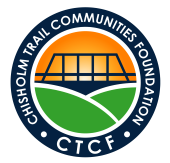 To review the options of a new 501(c)3 versus partnering with CTCF as a Fiscal Sponsor, click here. How can my organization establish a DDF? First, CTCF Board approval is required for a DDF, so information about your mission, programs, budget and advisory committee will need to be submitted.